JR: I am here today with Sara Megibow, a literary agent with Nelson Literary Agency. I am grateful you agreed to this interview as I believe you can provide much insight about the industry. Please introduce yourself, your company and your success in the industry. Sara Megibow: Thank you Jairus! I am the Associate Literary Agent at Nelson Literary Agency. My job is to sell books to publishing houses and then manage the careers of those published authors. I love it! As an agent, I represent authors who write science fiction, fantasy, young adult novels (all subgenres), romance novels and commercial fiction (including women’s fiction). I’ve enjoyed tremendous success this year in selling books by debut authors (the upcoming CATCHING JORDAN by Miranda Kenneally and THE SIREN by Tiffany Reisz for example). JR: What made you aspire to be an agent in the book industry and what drives your love of literature? SM: I’ve always been a voracious reader and really that’s the answer to both questions. I sell books because I LOVE books! I can walk by a clothing store any day of the week, but bookstores call to me like a siren. I have always loved reading for pleasure, and personally my favorite genre of all to read is fantasy (both adult fantasy and young adult fantasy). So, I ended up in publishing and it’s really a great fit. JR: There is a huge perception by many “outsiders” that this industry is a closed-knit community. Do you agree with this perception? SM: Yes, unfortunately I agree with this perception. I think it comes about because there is such a tremendous amount of competition for a very few spots. In 2010, I had 36,000 writers contact me asking me to represent their book (no kidding, really 36,000). I signed 9 of those clients and have since sold 7 of them. We are selective not because we are mean or insular but simply because publishing is this competitive. To further the closed-knit perception, once an author sells their work then they are more likely to sell more books. So, an outsider might see sales posted by the same authors and agents over and over and think – no one can break in to this thing! That isn’t true as almost all of my clients are debut authors. But it is true that the statistics are overwhelming. As an agent, every submission coming across my desk is evaluated equally – I consider writers with no publishing history the same as authors with extensive publishing history. It just may not feel that way on the other end of a computer when a writer receives that dreaded rejection letter. JR: What advice would you give a new author, with a completed manuscript, who has no idea what to do next? SM: Excellent question! Research…research…research. Our website (www.nelsonagency.com) has an extensive FAQ and resource section. It’s listed under the “Submit Manuscript” tab. If a new author were to spend an hour a day trolling those resources, they would be ahead of 99% of the pack. 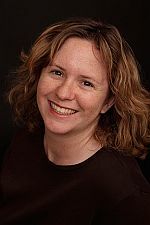 For example, learn about agents that represent your genre here: www.agentquery.com. JR: Just to give everyone an idea of how hard is to rise above the “slush”: How many queries do you read a week, and out of those how many manuscripts will you read out of these? SM: I read 1000-1400 queries per week, ask for 30-40 sample pages from those, ask for 1-2 full manuscripts from those. BUT, to be fair – of that huge number of queries, the vast majority of writers are truly at the beginning stages of their journey. Writers who take the time to research the industry, query agents who represent their genre, have a finished manuscript, etc- that number is much smaller. A prepared and professional writer with a superior manuscript is really only competing with a handful of others. JR: What is the most common mistake you see when you receive a submission and what are you typically looking for when reviewing a submission? SM: The most common mistake I see (and the most easily-avoidable) is writers who query us with a project in a genre that we don’t represent. Our agency represents science fiction, fantasy, young adult, middle grade, romance, commercial fiction and women’s fiction. The query letters for coffee table books, self help books and non-fiction get an automatic rejection letter. When reviewing the legitimate submissions, I am always looking for superior writing and a unique concept. Previous publishing history is irrelevant to me. An author’s age, location, biography, etc – these are incidental. Quality of writing is vital. And, in my experience, the quality of the query letter accurately represents the quality of the manuscript. Gail Carriger (NYTimes Bestselling author of SOULLESS and CHANGELESS) came from the slush pile. Jamie Ford, Sarah Rees Brennan, Sara Creasy, Marie Lu – all came from the slush pile. JR: What are some “dos” and “don’t’s” when dealing with an agency? SM: DO be professional and DO your research first. Read our website, follow our submission guidelines, have a completed manuscript and treat an agent or an editor as one would any prospective business partner. DON’T worry too much. Your work really is being evaluated thoroughly. Yes, it’s hard to get specific feedback on any submission, but trust that, for our agency, we really know what we’re doing. If we didn’t, then we wouldn’t be in business. An agent ONLY makes money after the sale of a book. Period! So, if we pick the wrong books, then…you guessed it, we make no money and we won’t be around long. We are evaluating a manuscript based on what we know of the market. A “no thank you” doesn’t mean your book will never sell – it just means it’s not right for us. JR: Have you ever come across a book you rejected for any reason, which caused you internal conflict? SM: Definitely. I’ve passed on books because they are too gory or scary, but I know many of these will go on to sell. I’m a mom and I have a soft heart, so I don’t like books that include kids in pain or threatened. That’s just a personal preference and it’s often not a good business decision on my part. JR: If an agent passes on a book that becomes very successful down the road, do they regret their decision, pass it off as a missed opportunity or stick to their reasons for the rejection? SM: A little of both. I sheepishly admit that, like a completeMORON, I passed on the brilliant Merrie Destefano’s AFTERLIFE. I was a brand new agent and couldn’t quite wrap my head around what I thought the edits should be. When it sold and was released, I bought a copy of the book. Reread it and was like “WOW – this is sheer genius, I’m such a dork.”Alas. JR: What are some of your personal favorite books and genres and do they influence your decision making? SM: My taste absolutely affects my decision-making It shouldn’t of course, but it does. Ideally, an agent chooses clients based on answering the question, “can I sell this book?” But, for me it’s “do I love this book” AND “can I sell this book.” Alas, that’s likely why I have 16 clients instead of 116. Anyway – my favorite books of all time are fantasy novels – HISMAJESTY’S DRAGON by Naomi Novik, TRANSFORMATION by Carol Berg, HOOD by Stephen Lawhead, THE BLOOD OF AMBROSE by James Enge, THE SHARING KNIFE by Lois Macmaseter Bujold, THE BLUE SWORD by Robin McKinley, THE HOBBIT of course. When I evaluate fantasy and science fiction submissions – I am looking for this kind of truly unique world, complex and engaging characters and spine-tingling plot that I loved in these novels. In young adult and romance novels, I am hoping to find fantasy, paranormal, dystopian, science fiction, etc that is as complex and interesting as adult books – just set with teen protagonists. JR: What does a day in your shoes look like and how do you balance the variety of jobs you must perform on a daily basis? SM: Read query letters, read sample pages, read full manuscripts, read books on the shelf (to keep abreast of what’s hot), read client manuscripts, read proposals for client manuscripts, read Publishers marketplace and four other industry newsletters, read Locus Magazine, the Romance Writers Magazine and Publishers Weekly. Then, audit contracts, royalty statements, foreign sales, audio sales, ebook sales. And, manage author careers, guest blogs posts, interviews, book signings. Submit manuscripts, track submissions, communicate to clients about their submissions, follow-up on submissions. Blog, post, tweet, make phone calls, respond to emails. Negotiate contracts, organize release information, communicate industry information to clients, plan publicity stunts (are you still reading?…) This is a normal day if absolutely nothing goes wrong. JR: I have had some interesting emails sent to me after rejecting a manuscript. Have you ever come across someone pleading for you to sign them or an angry email that disagrees with your opinion? SM: Absolutely. Our agency responds to every submission so it’s somewhat easy for writers to email right back to us. We delete the upset ones, but I understand the emotion. It’s hard to be on the receiving end of an impersonal rejection email. I hear something like this at least once a day, “you wouldn’t know the next HARRYPOTTER if it hit you in the head.” Alas. JR: As a publisher, I see the industry changing daily with the rise in e-books. Do you think this has oversaturated the market with books that aren’t worthy of publication or do you view it as an opportunity for more authors to get their work to the public? SM: Personally, I think it’s a little of both. I think self-publishing offers a tremendous opportunity for writers. There are solid business reasons to pursue self-publishing instead of traditional publishing. I think of it this way – traditional publishing and self-publishing are two legitimate forms of distribution. The savvy author would do tons of research before pursuing either so they can weigh the pros and cons of each. JR: It is scary from my point of view seeing brick and mortar retailers going under. Do you think print books will ever become obsolete and what industry changes do you foresee in the future? SM: No, I don’t think print books will become obsolete. But, I think that hardcovers will become more like luxury items – bought as presents, bought by true bibliophiles (like myself) and reserved for the books by readers’ absolute favorite authors. I recently bought THE HEROES by Joe Abercrombie as a hardcover, spent the entire list price on it in my local independent bookstore and I’m so glad I did! I did so much flipping back and forth, looking at maps, reminding myself of character names, enjoying a scene over and over. I’ve also bought plenty of discounted mass-market books and e-books in the past 6 months too. JR: What is your opinion on the emergence of small presses? SM: I love small presses! I submit to small presses on a regular basis. I’m big in to pros and cons. Even a six figure advance from a major NY publisher has “cons” to it (namely – how stressful is it to make sure we earn back that advance, especially as a debut author!). There are recent small press successes that really help argue in their favor even more – THEWINDUP GIRL by Paolo Bacigalupi was published by Night Shade Books to tremendous success. And, of course, the publishing world is abuzz with the recent blockbuster success of GO THE F**K TOSLEEP by Adam Mansbach, published by Akashic Books. I think we’ll see more hugely successful books by small presses in the near future. JR: I always give my interviewee a chance to ask me any question they might have. Do have any question you would like to ask me? SM: In addition to writing a great book, is there anything else a debut writer can do to attract the attention of an agent? YES! Write a great book. Really, really great. Edit it, make sure it’s polished, do your research and go for it. But, there’s one more step we haven’t yet covered and that’s promotions and publicity. I encourage writers to have a professional author website now. Now now now. Many agent disagree with me, so a writer should choose an agent that best represents their style. My solid opinion though is that platform matters (especially to the debut author). So, put up a professional website – have a bio a headshot and a page on “what I write.” That’s all you need, but make sure that if I google-stalk you, I find something professional. Here are three examples of my sf/f clients who are currently on submission and haven’t yet sold. These websites were up and running before even signing with me as an agent. It’s SOOOO important! If I were President for a day I would…Hire someone who completely disagrees with me politically and have them be my second in command. My biggest frustration with publishers is…We aren’t (as a collective group) loud-mouthed enough about how important literature is as an art. Lindsey Lohan should…Do something outrageous while holding a copy of one of my clients’ books, so we get tons of press and publicity and rocket to the center of attention. If I had one wish it would be…To be multilingual, immediately. If I could choose one book to be made into a movie it would be… THE HUNDRED THOUSAND KINGDOMS by NK Jemisin. Game of Thrones is…One of my favorite books ever (haven’t seen the tv version yet, but with Netflix it’s inevitable). This entry was posted in Professional Interview and tagged Agent, Anthology, Author, Author Interview, Authors, Betrayal, Blog, Book agent, Book agent interivew, Book agent interview, Books, Celebrity Gossip, Children's books, Drynn, Eldohr, Eldohr Adventures, Fantasy, Game of Thrones, Hobbes, Hobbes End, Hobbes End Publishing, Horror, Interview, Jairus, Jairus Reddy, Jane Kindred, Kindle, Legends in Time, Lindsey Lohan, Megibow, Nelson Literary Agency, NK Jemisen, Publisher, Publisher Rants, Publishing Industry, Reddy, Sara, Sara Megibow, Steve Vera, The Devil's Garden, The Endlands, The Fallen Queen, Thoughts, Vincent Hobbes. Bookmark the permalink. I have another possible agent interview coming up, and author interviews will continue. Exactly. She is cautiously positive, but positive nonetheless. Your welcome. It was fun for the both o us. It’s a rare and amazing opportunity to delve into the mind of agent. Thank you–Jarius and Sara– for that. You are welcome. Sara and I enjoyed the interview.